Dove DermaSpa Goodness Body Cream, £7.99 for 300ml. A massive tub of rich, buttery yet sinks-in-fast cream for normal-to-dry skin – priced for generous slathering. What sold us on this is the fragrance, a soft and sensual blend of vanilla, coconut and musk. Dove DermaSpa Uplifted+ Massaging Body Roll-On, £9.99 for 100ml. The innovative applicator for this has truly impressed us: a unique metal rollerball applicator which works to massage problem zones while gliding on the fresh-scented satiny gel, with its notes of waterlily, cucumber and green violet leaves, Indonesian patchouli and sweet musk. Again, the scent really encourages regular use – always the key with any firming/anti-cellulite product. Dove DermaSpa Summer Revived Body Lotion, £6.99 for 200ml. 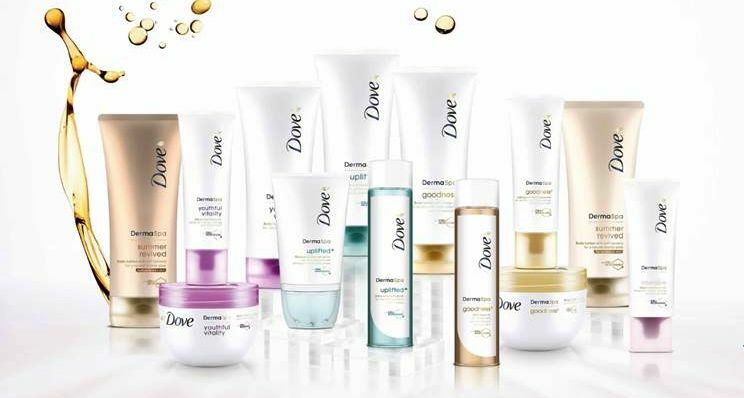 Dove helped pioneer the ‘daily self-tanner’ and this is a great new version, available in two shades – Fair to Medium and Medium to Dark. It’s packed with glycerine so is genuinely moisturising, helping to counterbalance any of the drying effects these daily, gently bronzing products can sometimes be known for. It’ll really come into its own come summer, but if you’re feeling pastry-esque right now, a couple of days of application will easily deal with that.